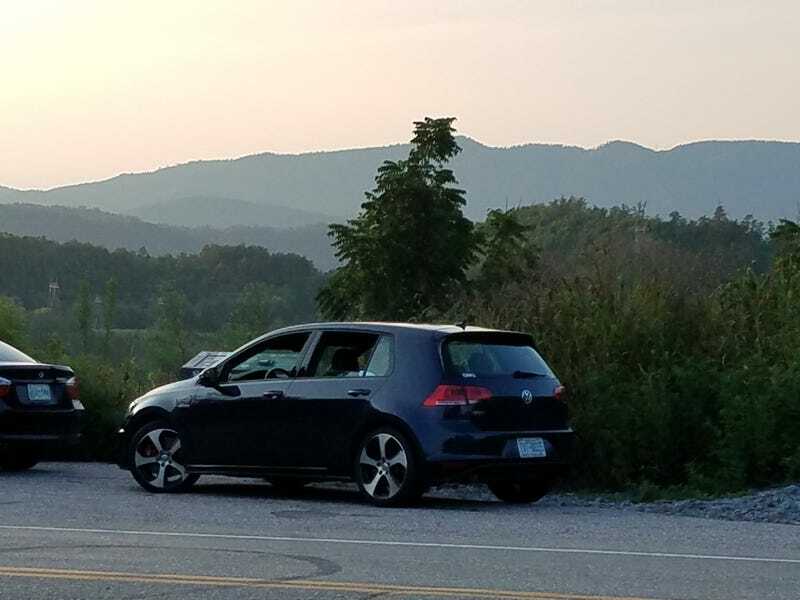 Several of us went back to the Tail of the Dragon after an early dinner, with two per car, to watch cars and motorcycles at the overlook as the sun went down. Happily, I avoided killing my passenger when I tried to catch a WRX, although it was a close call. See what you folks are missing by not being at the Oppomeet? We also stopped by Fontana Dam to see it lit up at night and so Jordan could get arty photographs of his Fiesta. As you can see, my photo is not super artistic.